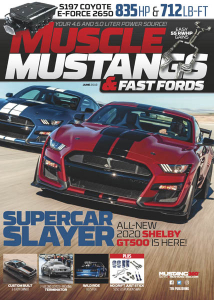 Muscle Mustangs & Fast Fords - 06.2019 » Download PDF magazines - Magazines Commumity! Muscle Mustangs & Fast Fords is the 5.0 & 4.6 Liter Power Source for Late-Model Mustangs and Fords! • Complete Racing and Events Coverage!